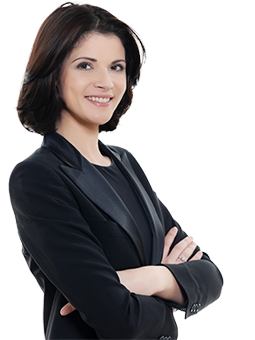 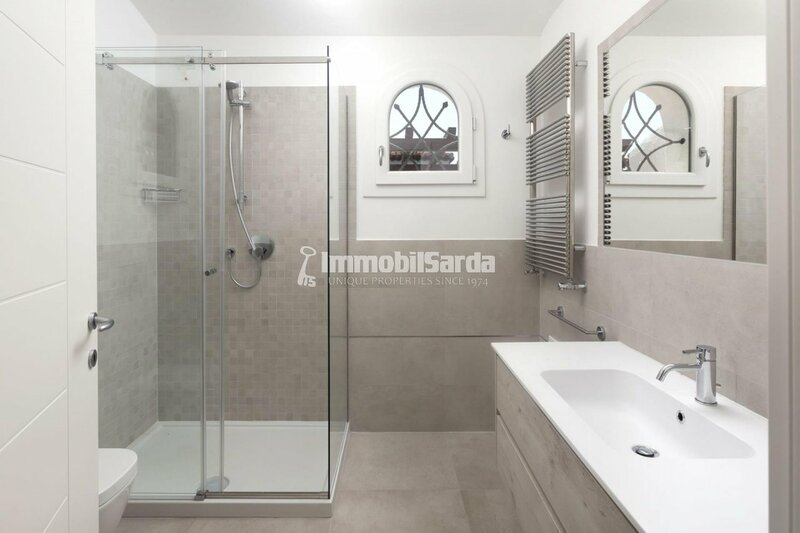 ​A natural and exclusive style. 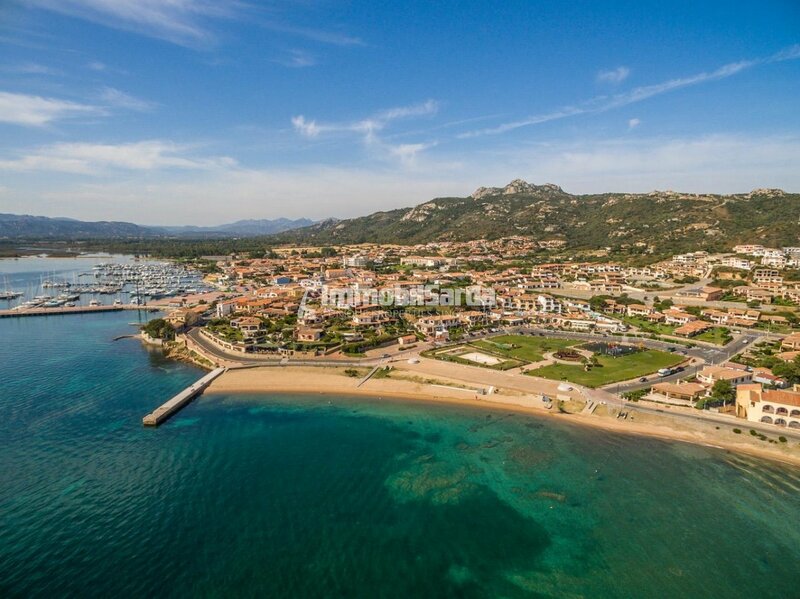 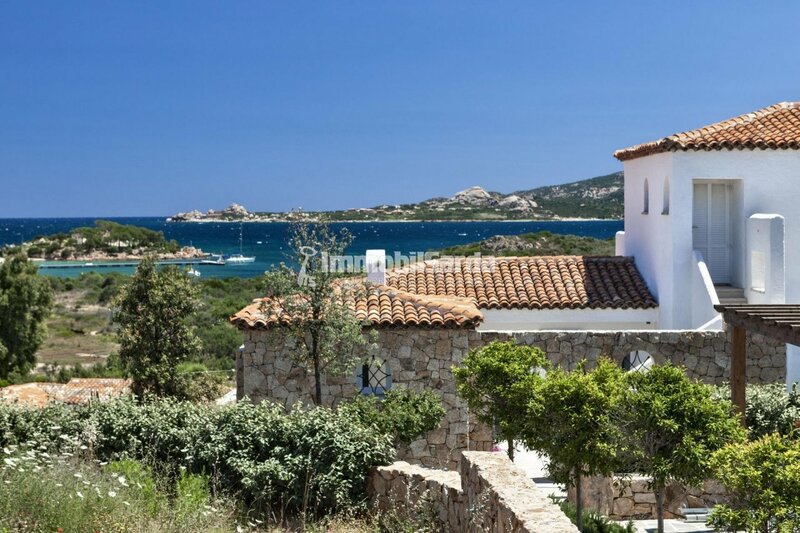 Borgo Harenae Elite Villas & Exclusive Suites is a charming residential complex, beautifully placed not far from the the quaint hamlet of Cannigione and a few minutes from Porto Cervo. 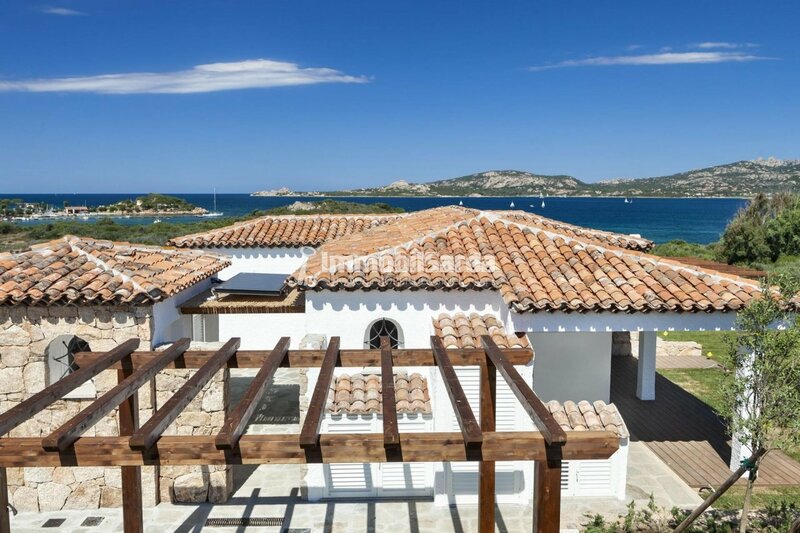 It is the expression of an original architectural philosophy that embraces material emotions, artisan care and modern creative interior design; the project sees its strength in its natural environment and in the continuity between interior and exterior spaces. 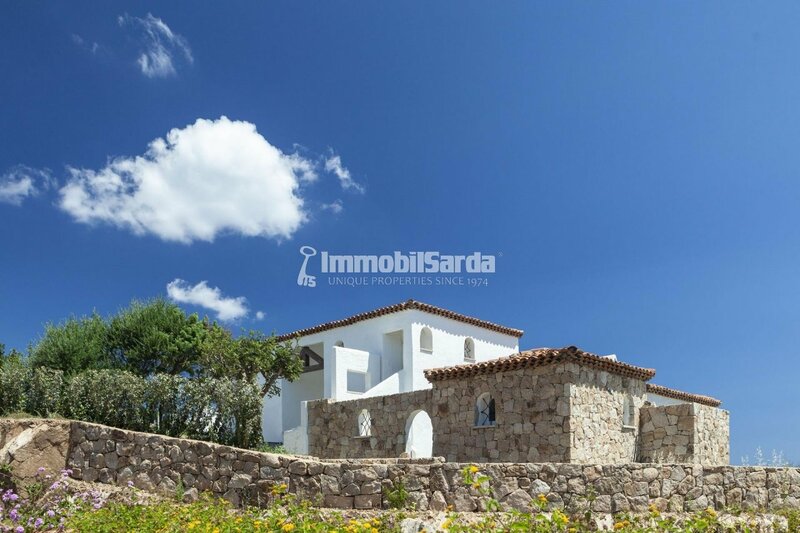 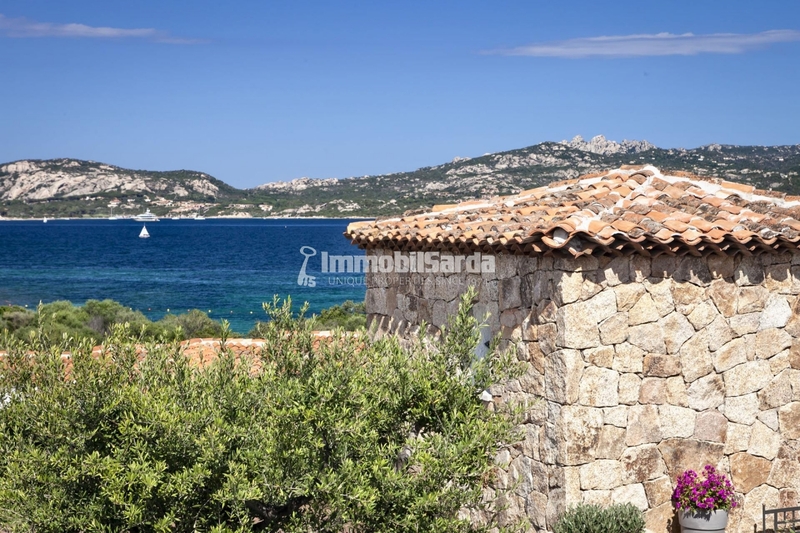 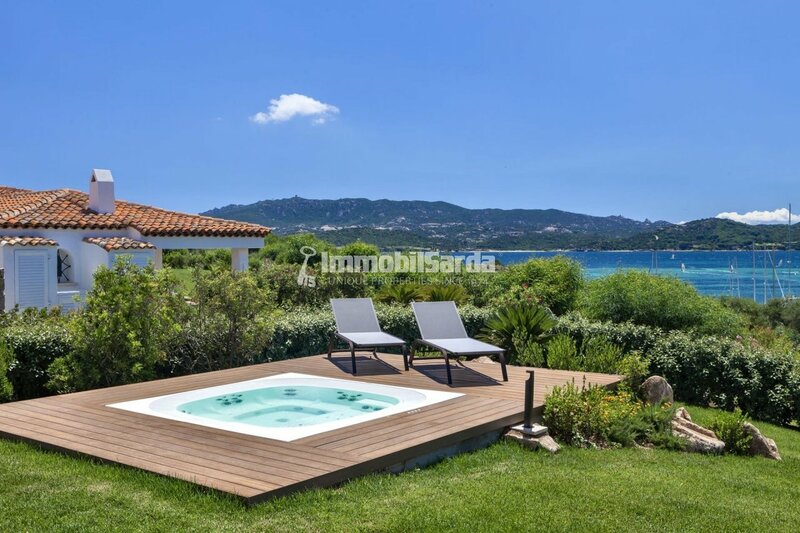 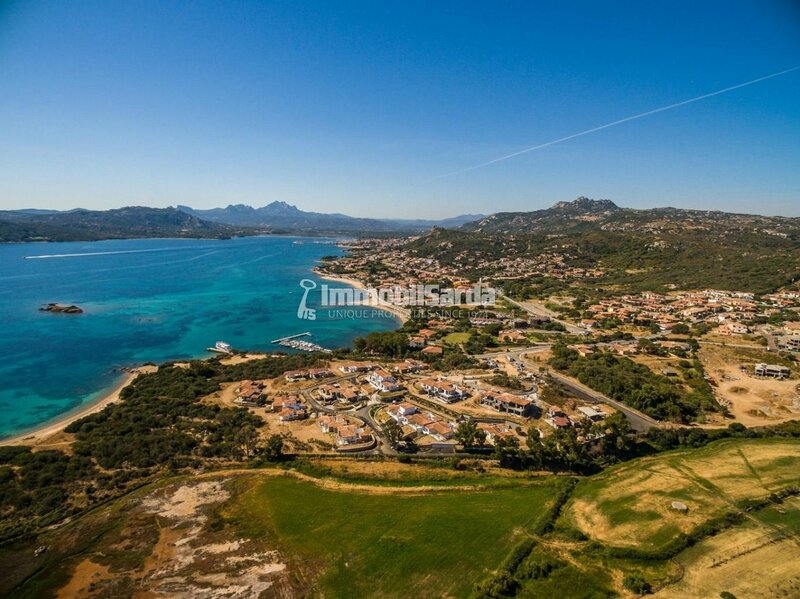 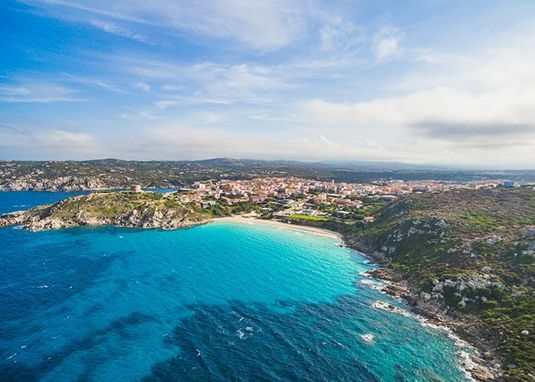 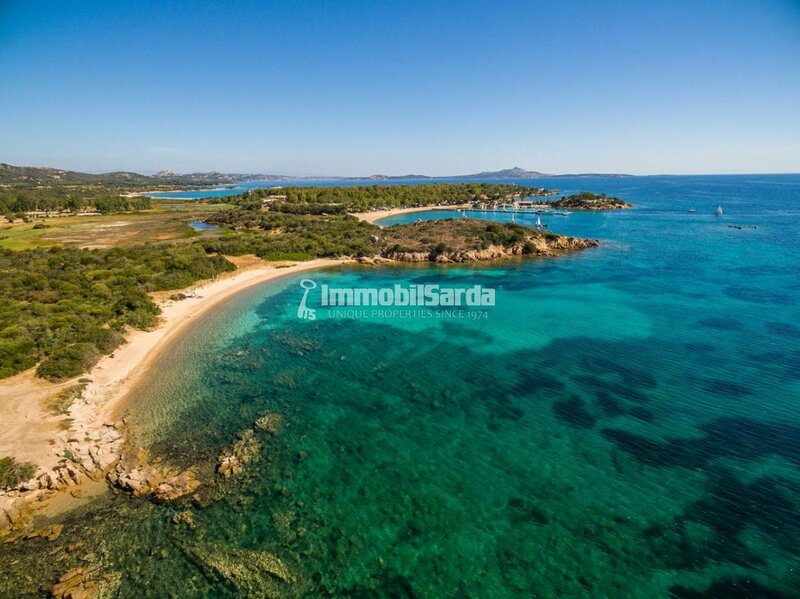 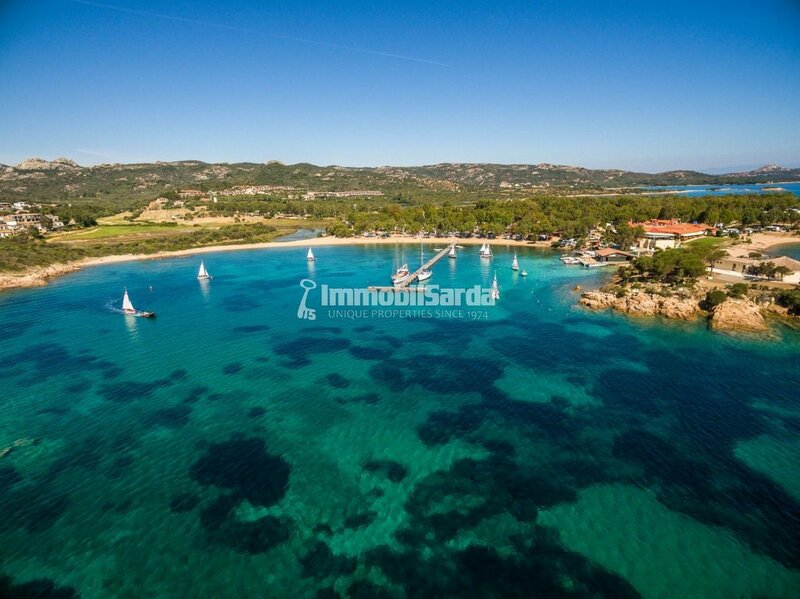 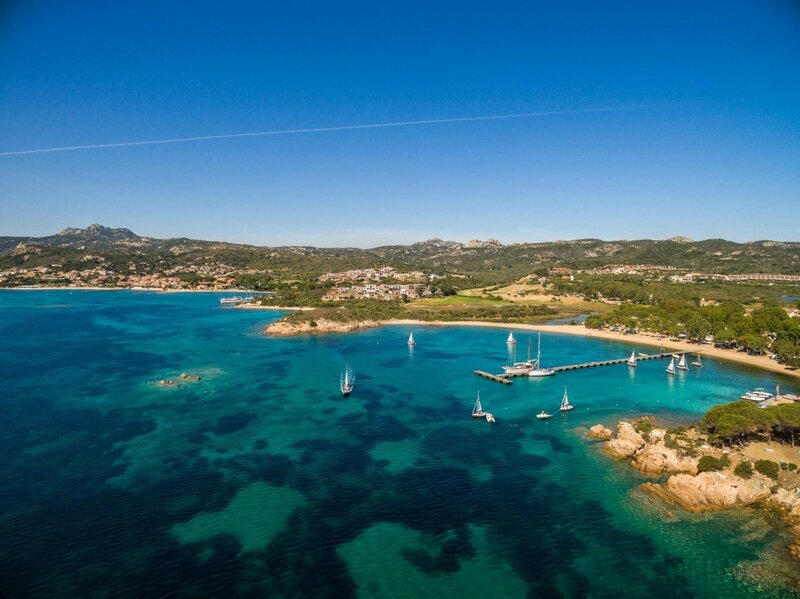 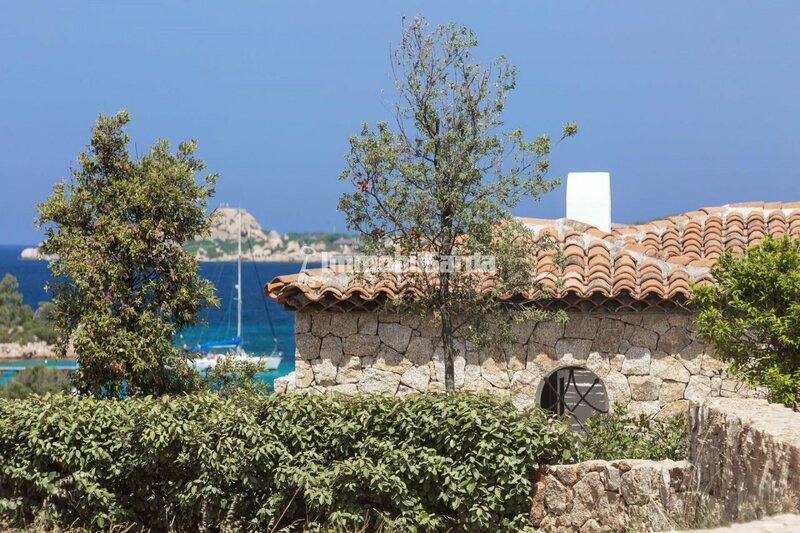 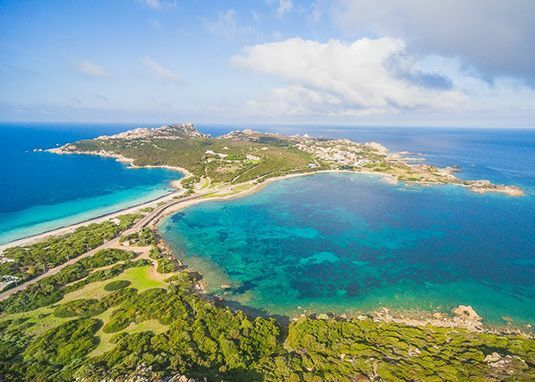 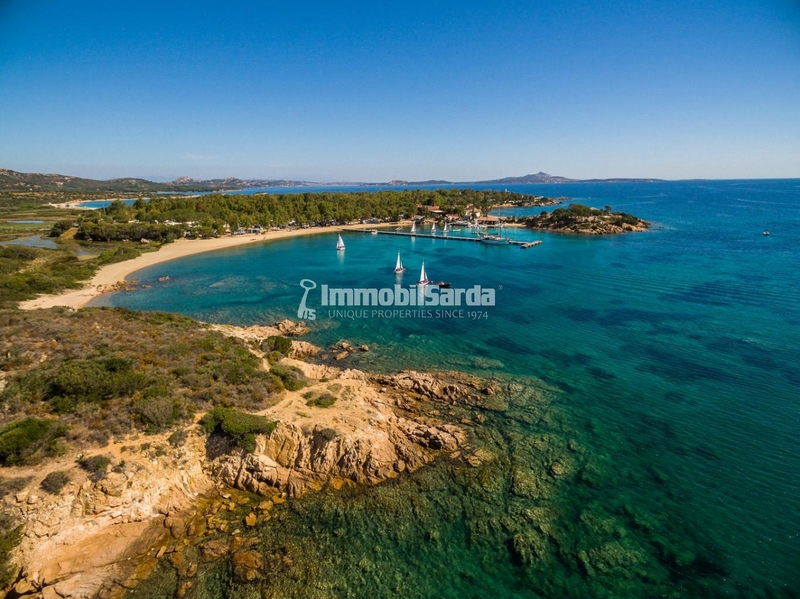 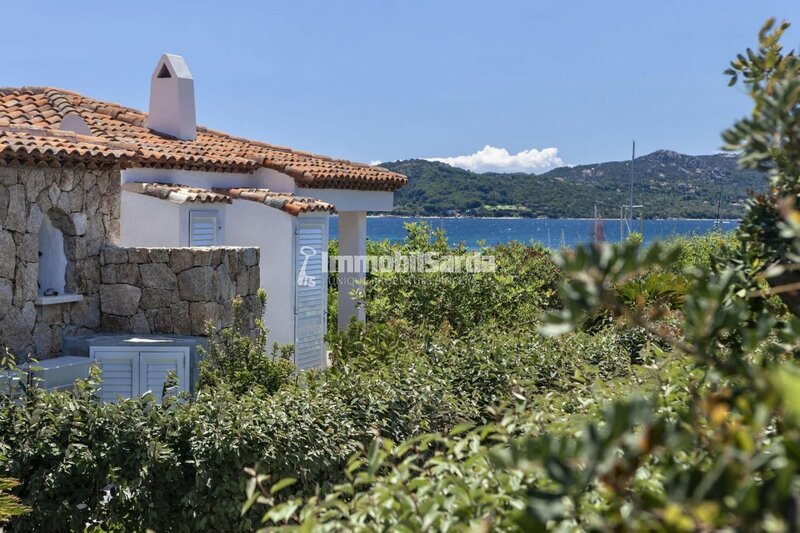 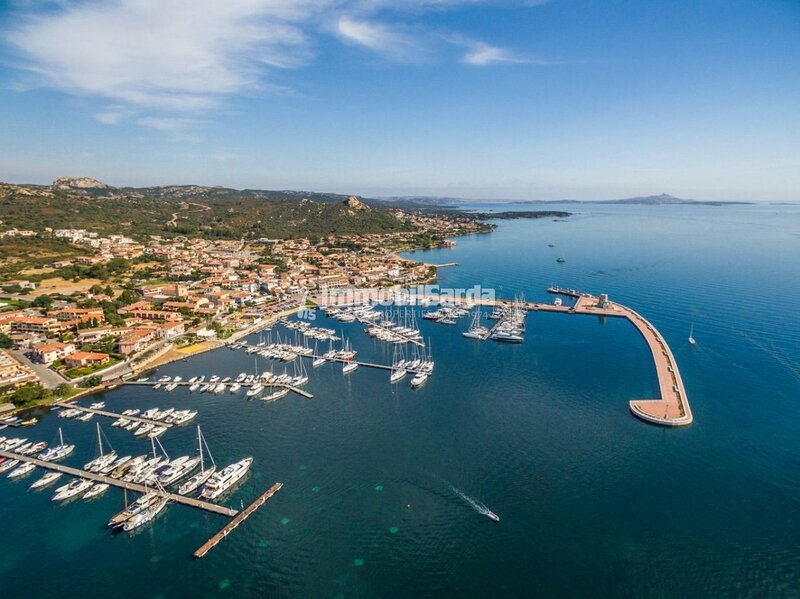 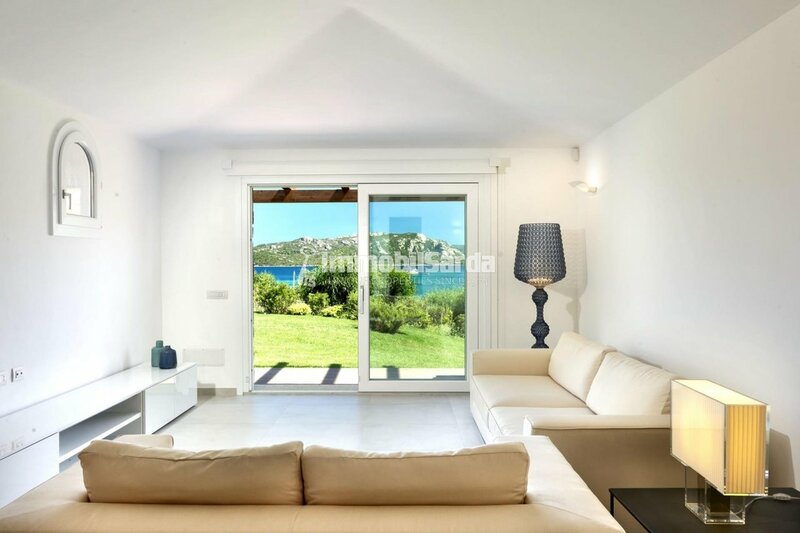 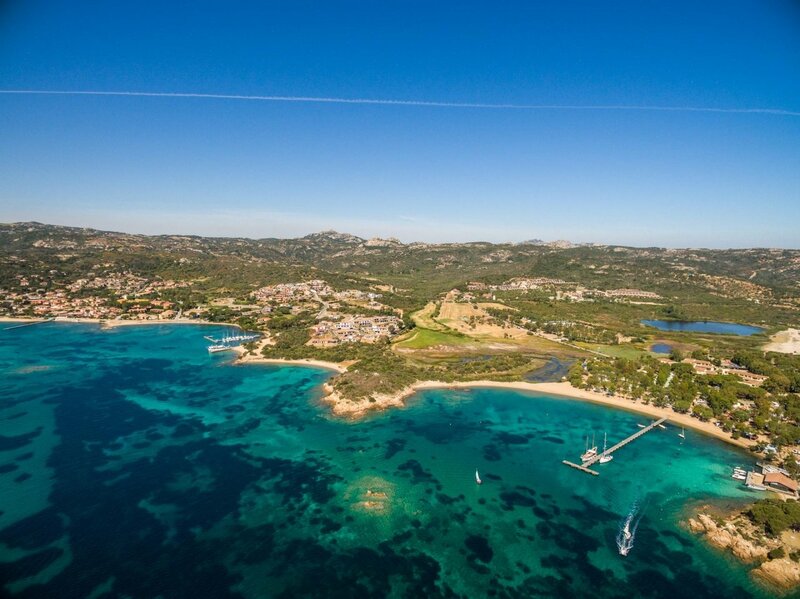 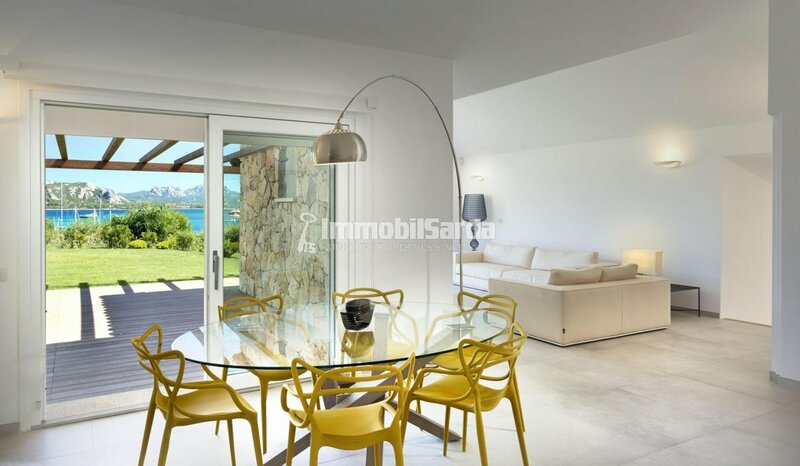 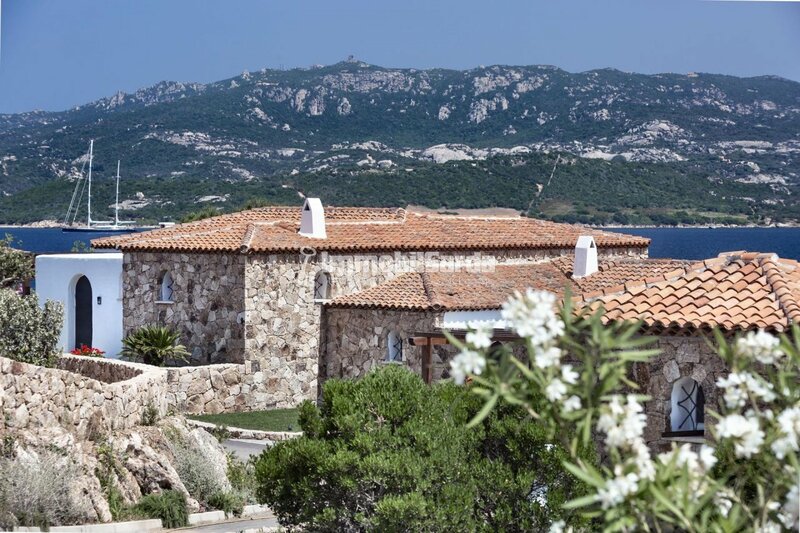 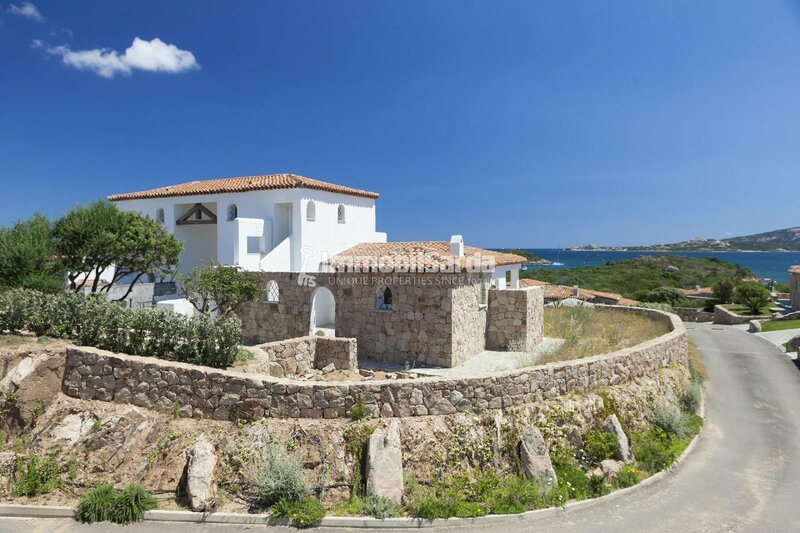 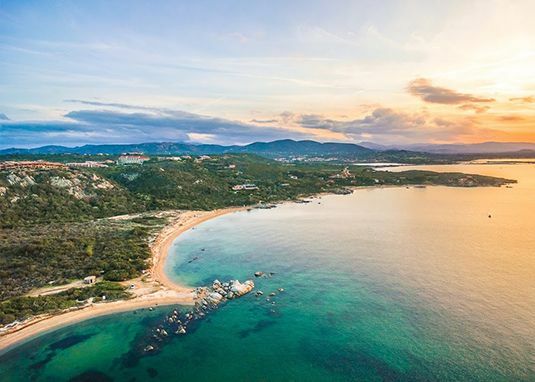 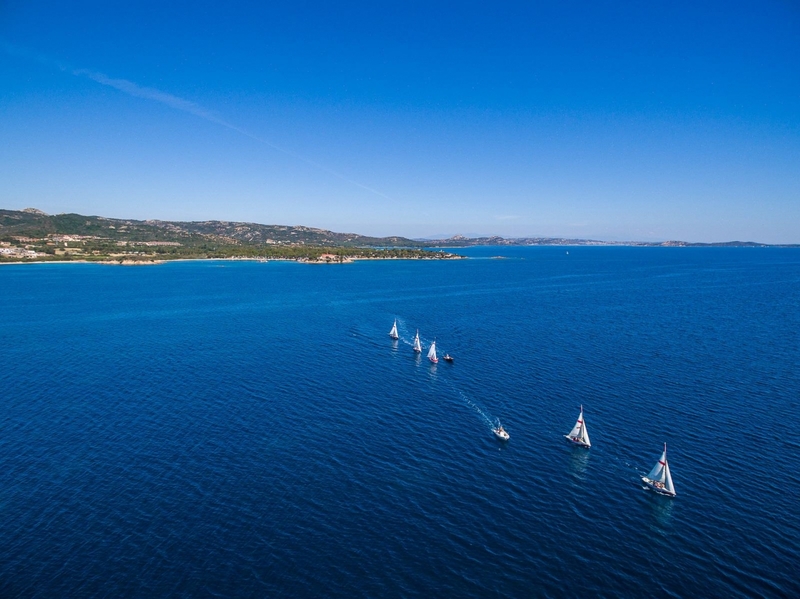 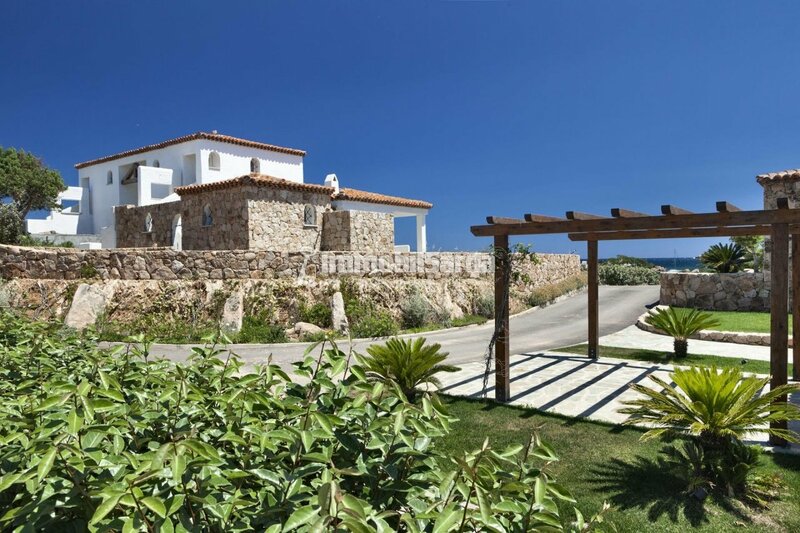 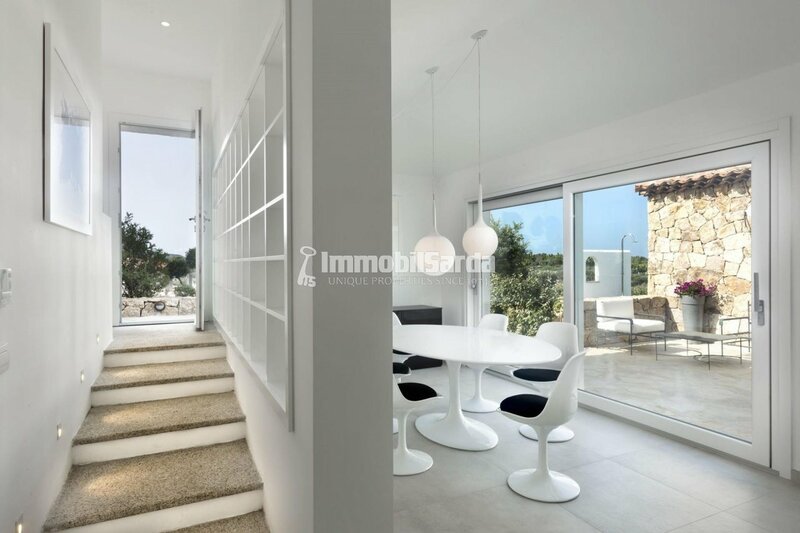 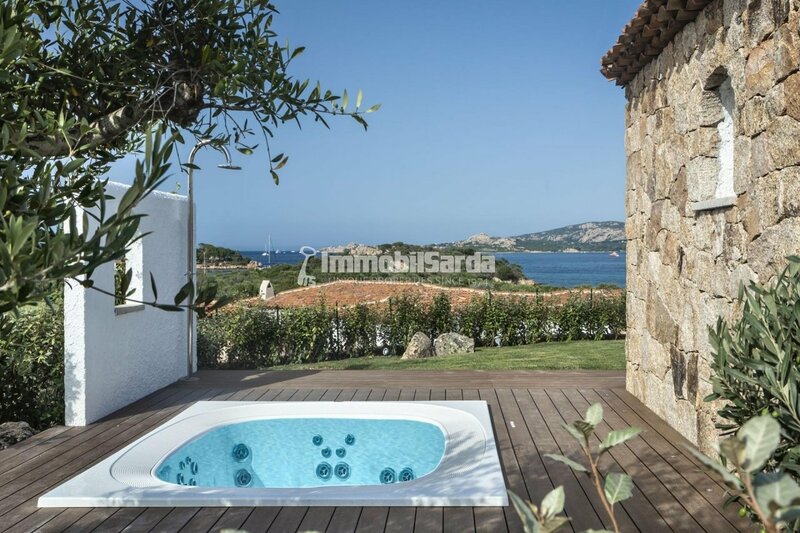 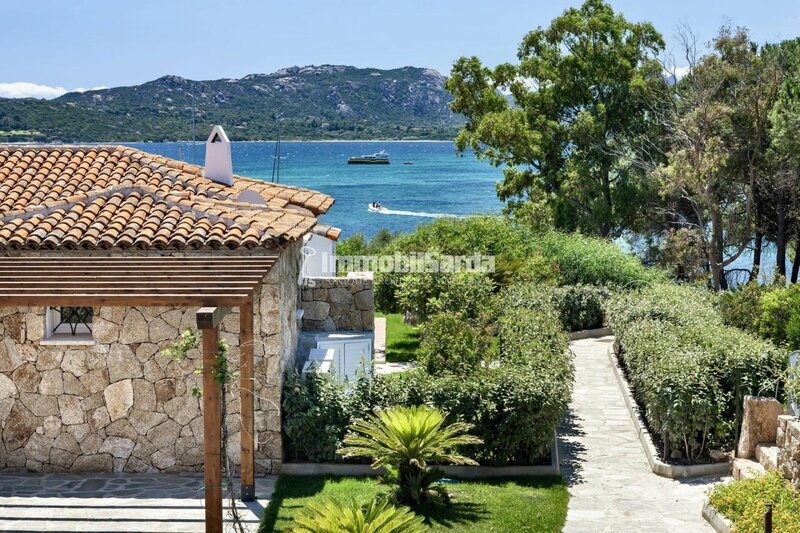 In a gated community formed by 24 magnificent villas, we propose you this magnificent single-family villa for sale, surrounded by a green 6-hectare private park with stunning views of the Archipelago de La Maddalena and of the seductive cobalt blue shades of the sea that blends into the endless horizon. 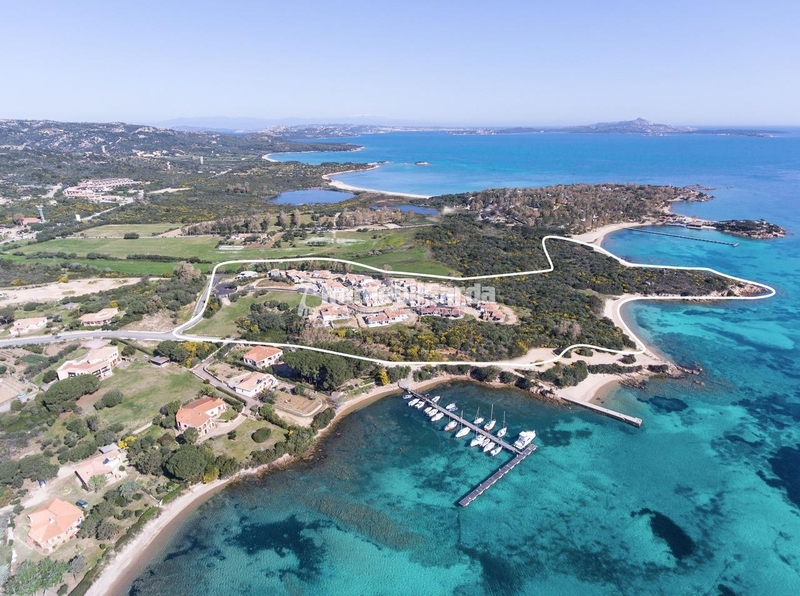 Being finalized, the villa will be delivered in 3/4 months and offers the chance to its future owners of great personalization, with taylor made details and finishing-touches. 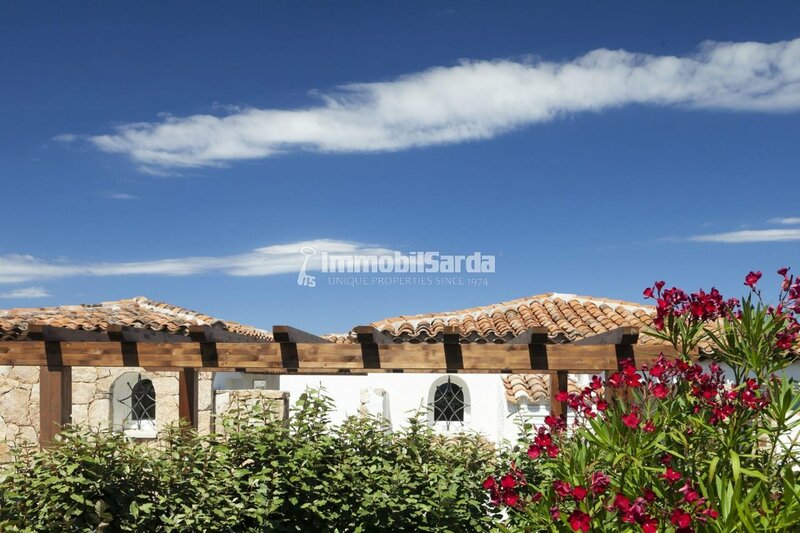 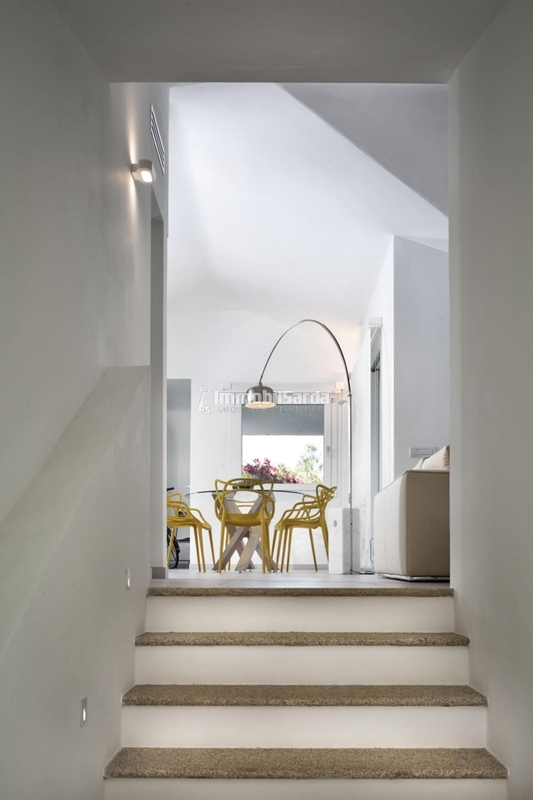 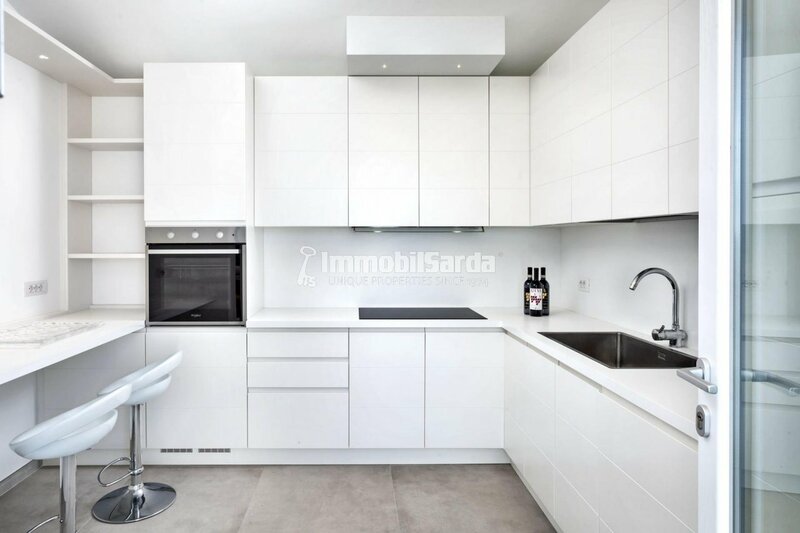 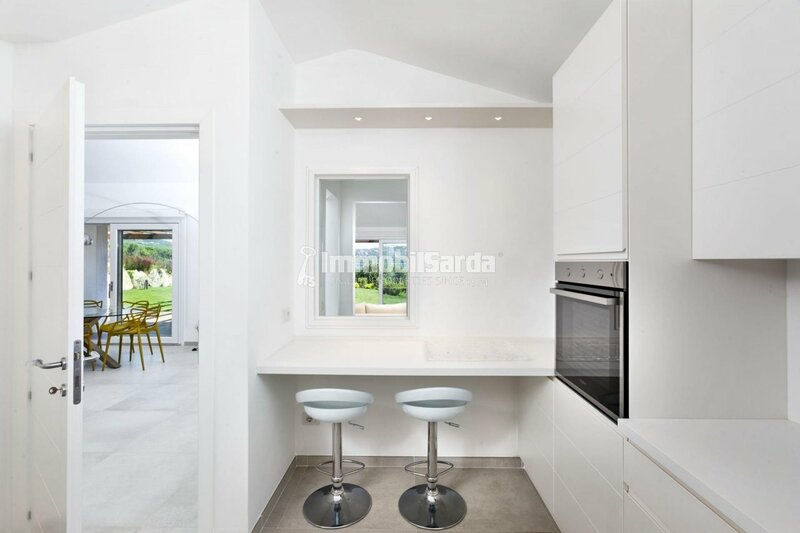 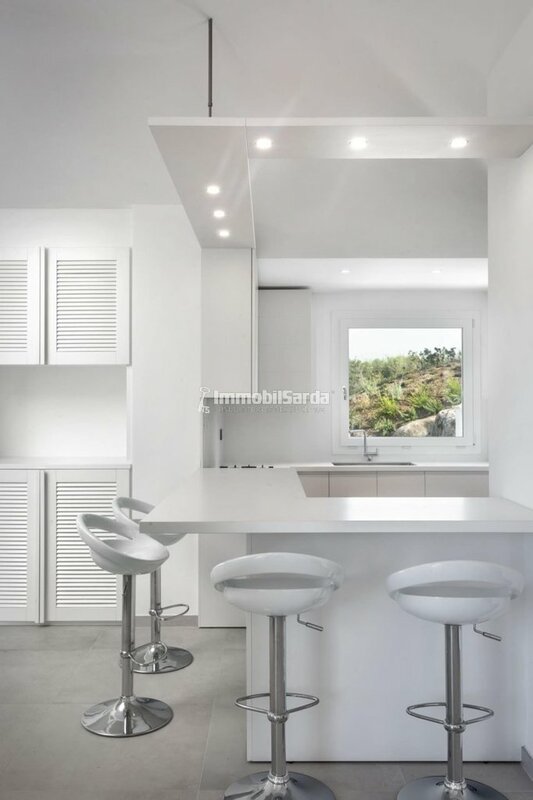 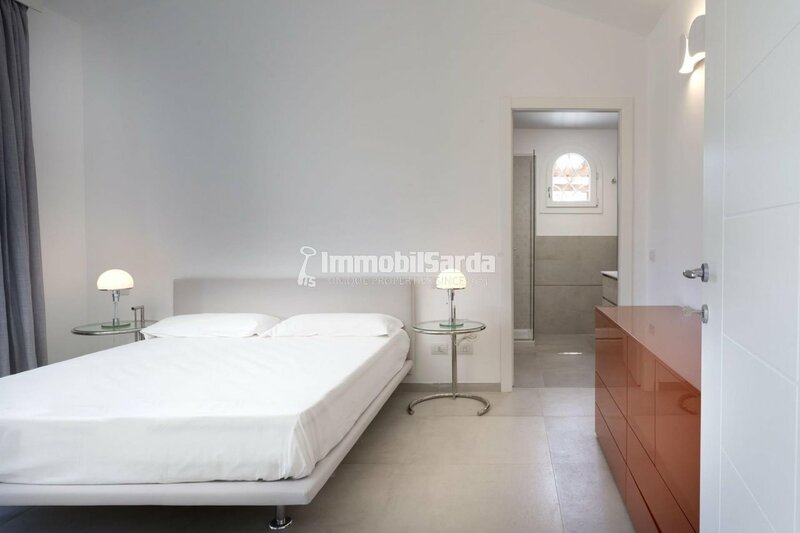 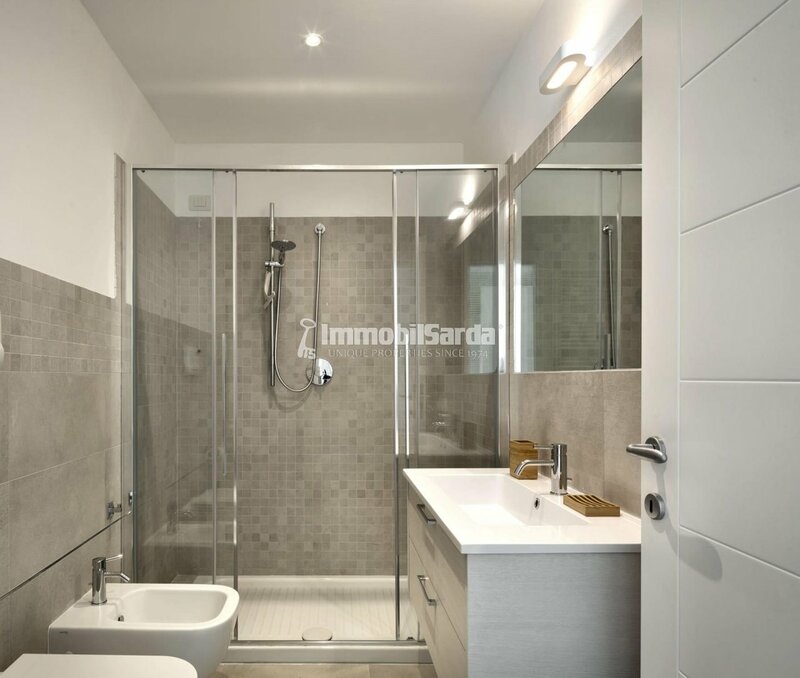 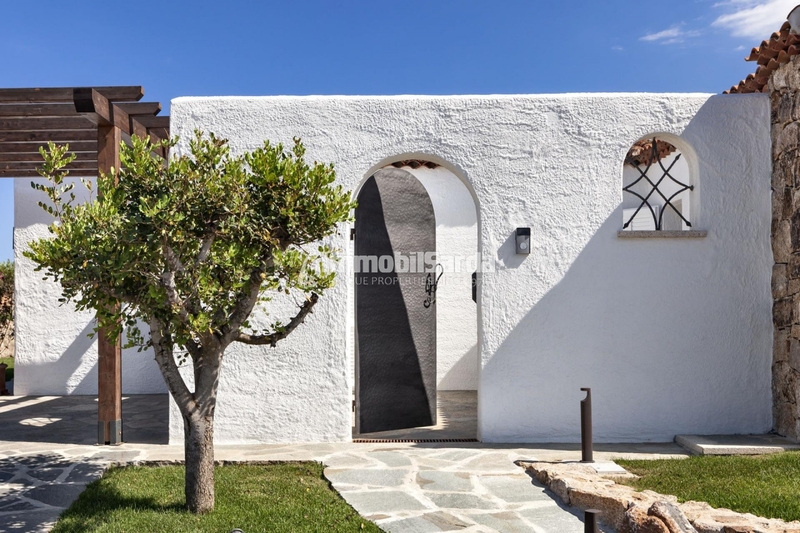 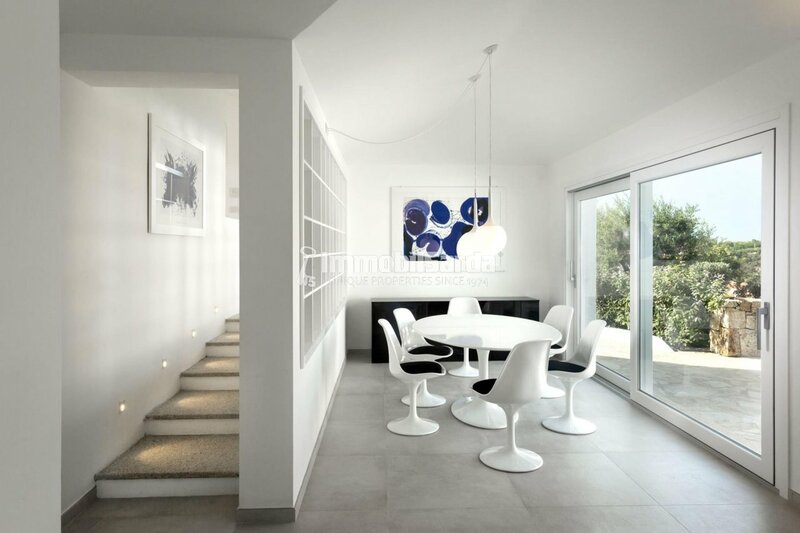 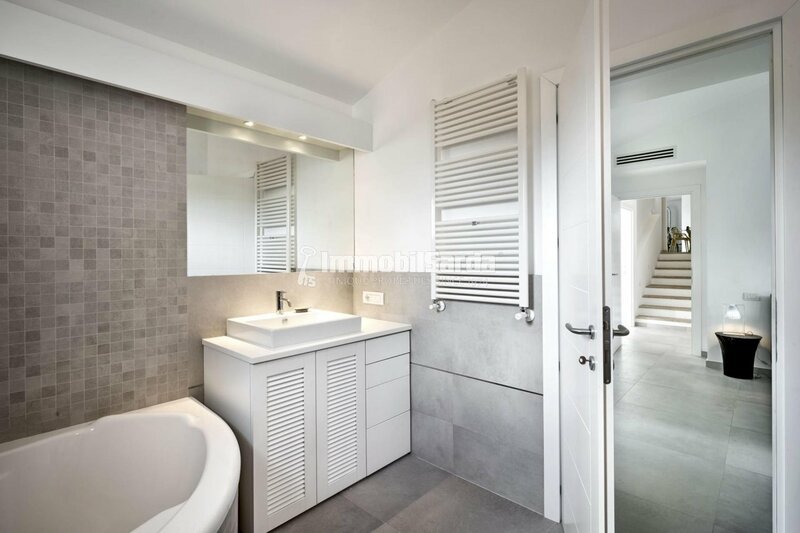 An original synthesis of beauty and functionality, the villa is finely furnished according to a clean and essential design, high quality materials and finishes. 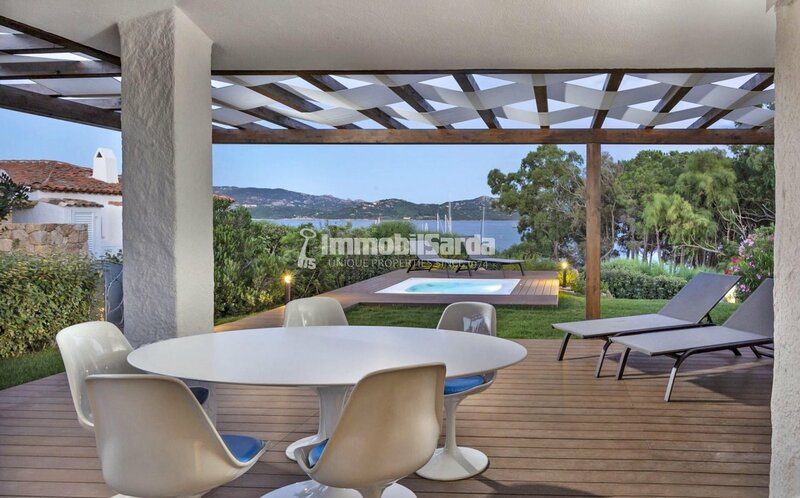 The spacious and comfortable outdoor living areas provide a lifestyle marked by great outdoors life; the wonderful terraces with outdoor lounge and dining areas are perfect to spend pleasant moments of relax with friends and family, while the generous pieds dans l'eau gardens and the patios offer views of incomparable beauty of the endless scenarios of the island and the coastline. 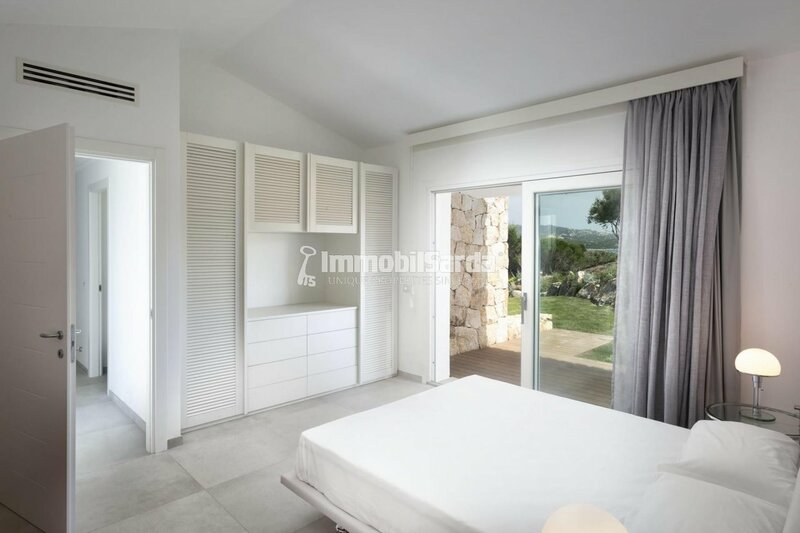 Set in a seafront panoramic position, this newly built villa is the quintessence of quiet, pleasure, security and privacy and consists of a spacious living room with dining room and kitchenette, 3 double bedrooms, two with en-suite bathroom, 1 independent bathroom, a hallway and 2 single bedrooms with bathroom, suitable to accommodate staff or guests. 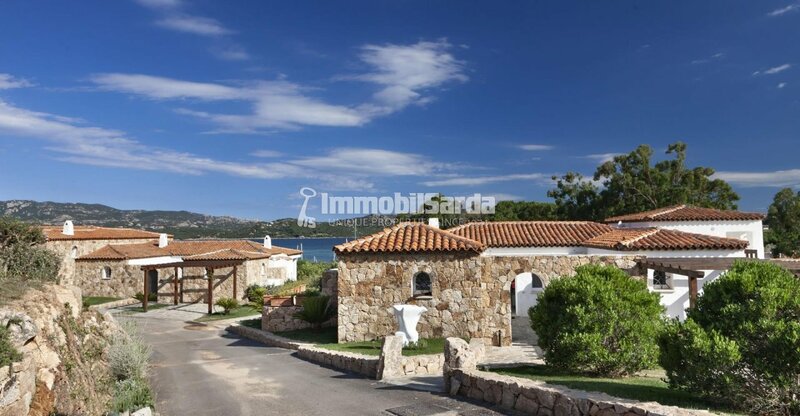 The property includes a garage with two parking spaces. 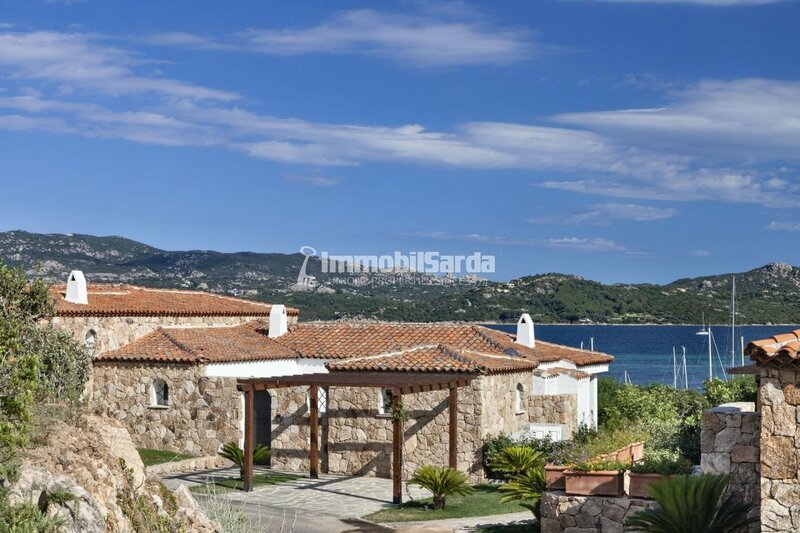 Directly facing the sea, the villa expertly interprets the concept of continuity between interior space, exterior architecture and natural landscape. 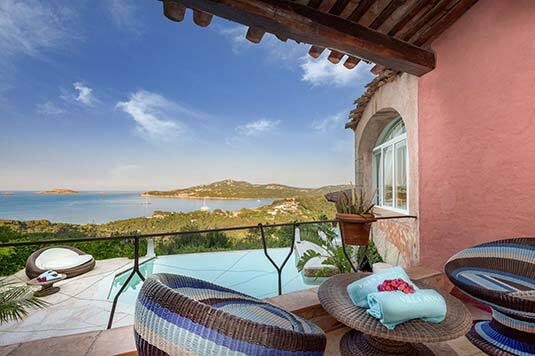 The elegant outdoor environments offer guests an enveloping feeling of relaxation; pools, private ponds, a Jacuzzi, a direct and exclusive access to the private beach, and a dock at 100mt make Borgo Harenae Elite Villas & Exclusive Suites a five-star facility, capable of satisfying the desires of the most demanding international clientele. 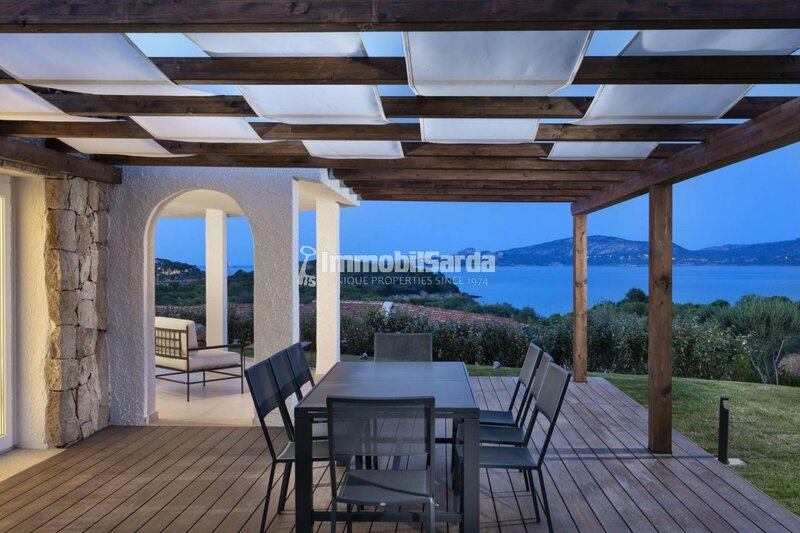 Wisely nestled in the greenery, this villa for sale is the ideal choice for those seeking "a nest that embraces the body and the mind", a solution in the name of nature, tranquility and privacy, at the same time close to the tourist harbor and services of Cannigione: an "all Italian" charm and a style, a marina and a Yachting Club among the best equipped of Gallura just a short walk from the villas, and a new promenade for pleasant walks in the center.